How About Some 'Past Doctor Adventures' For The Ninth Doctor? | Warped Factor - Words in the Key of Geek. 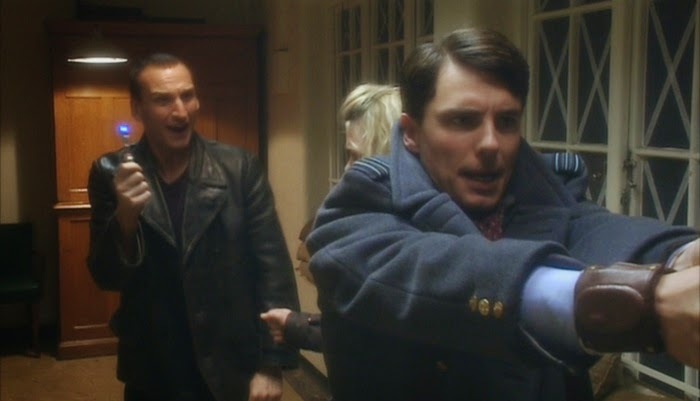 How About Some 'Past Doctor Adventures' For The Ninth Doctor? 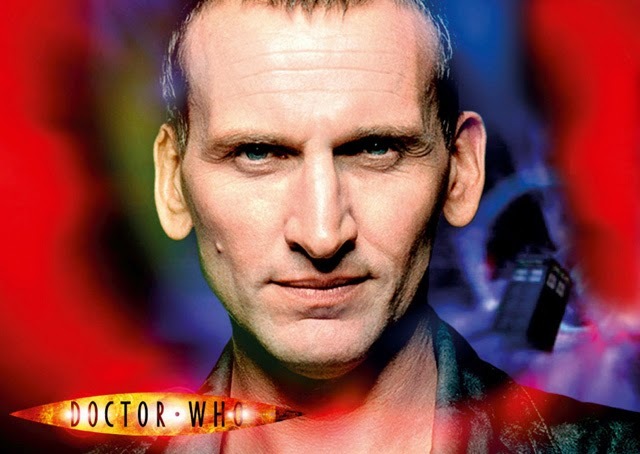 Now that ten years has elapsed since the Ninth Doctor was on our screens, surely the time is right for him to be inducted into the ranks of the Past Doctor Adventures? Initially published from 1997-2005, which covers Doctor Who's wilderness years, a grand total of 76 novels were released, beginning with the Third Doctor's The Devil Goblins From Neptune and ending with the Seventh's Atom Bomb Blues. They returned, in a sense, in 2012 with the releases of The Wheel Of Ice & Harvest Of Time featuring the Second & Third Doctors. Engines Of War, the print showcase for the man who would become the Mancunian-accented Time Lord, in a roundabout way also qualifies in that the War Doctor's tenure was retrospectively shown as being over before that of his successor had even begun- though in a wibbly wobbly timey wimey manner we'd seen his next incarnation's beginning and end well before his own potion-aided emergence on Karn. "The past Doctor range continued steadily for several years until 2005, when two things happened. First, publication of the range was paused in the first half of the year, around the launch of the new series. Then, at the end of 2005, the BBC put off announcing any further novels in the range. So the past Doctor novels are currently in hiatus, much as the classic series was after 1989 — with neither an official report of cancellation, nor any announced plans for new novels." At least until 2012, though at a much-reduced rate. Leaving a huge gap in the bookshelf! Only six of the New Series Adventures feature the Ninth Doctor- The Clockwise Man, The Monsters Inside, Winner Takes All, The Deviant Strain, Only Human & The Stealers Of Dreams. Add these to a run of 13 episodes across one series on television & that leaves quite a bit of wriggle room- if anyone from BBC Books is reading this, do take note. Our next question should perhaps be whether there's room to expand on any mentioned but unseen adventures for the man in the leather jacket. To answer that then let us first look at Clive, the conspiracy theorist from Rose. He had pictures from throughout history, all featuring a chap who matched the physical description of the new Doctor. So if any ideas were needed for new Past Doctor Adventures, authors could do worse than to take note of where the Doctor was seen immediately post-regeneration by implication! CLIVE: A lot of this stuff's quite sensitive. I couldn't just send it to you. People might intercept it, if you know what I mean. If you dig deep enough and keep a lively mind, this Doctor keeps cropping up all over the place. Political diaries, conspiracy theories, even ghost stories. No first name, no last name, just the Doctor. Always The Doctor. And the title seems to have been passed down from father to son. It appears to be an inheritance. That's your Doctor there, isn't it? CLIVE: I tracked it down to the Washington public archive just last year. The online photo's enhanced, but if we look at the original....November the 22nd, 1963. The assassination of President Kennedy. You see? ROSE: It must be his father. CLIVE: Going further back. April 1912. This is a photo of the Daniels family of Southampton, and friend. This was taken the day before they were due to sail off for the New World on the Titanic, and for some unknown reason, they cancelled the trip and survived. And here we are. 1883. Another Doctor. And look, the same lineage. It's identical. This one washed up on the coast of Sumatra on the very day Krakatoa exploded. The Doctor is a legend woven throughout history. When disaster comes, he's there. He brings the storm in his wake and he has one constant companion. Not a bad start if pseudo-history's your thing eh? Another quote from that same episode could offer the chance to tread in similar territory to that of the First Doctor's meeting with Marco Polo. You'll remember the younger, greyer-haired one's meeting with Kublai Khan deep in the heart of the Mongol Empire? Well if you were paying attention you'll have noted the younger looking tougher one's reference to Kublai Khan's grandson, Genghis! "The assembled hordes of Genghis Khan couldn't get through that door, and believe me, they've tried!" Such an attack on the TARDIS could be quite a centrepiece for the author willing to write it. Leaving the past and moving into the far future, there's the small matter of the Weapon Factories of Villengard to consider. DOCTOR: Sonic blaster, fifty first century. Weapon Factories of Villengard? JACK: You've been to the factories? JACK: Well, they're gone now, destroyed. The main reactor went critical. Vaporized the lot. DOCTOR: Like I said. Once. There's a banana grove there, now. I like bananas. Bananas are good. Surely the story of how the Doctor came to put things right at the Factories is worth telling? BBC Books, the ball is in your court- though any attempt to resurrect another Past Doctor surely has the potential to be "fantastic!"